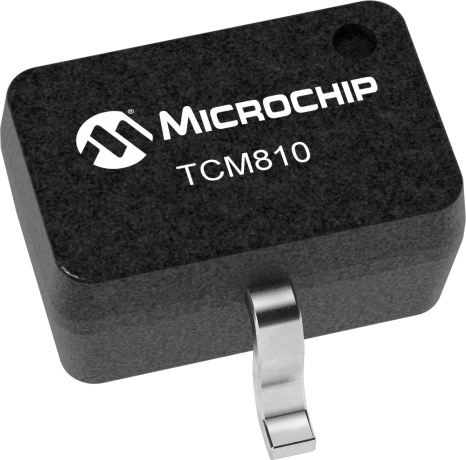 The TCM809 and TCM810 are cost-effective system supervisor circuits designed to monitor VDD in digital systems and provide a reset signal to the host processor when necessary. No external components are required. The reset output is driven active within 20 µsec of VDD falling through the reset voltage threshold. Reset is maintained active for a minimum of 140msec after VDD rises above the reset threshold. The TCM810 has an active-high RESET output while the TCM809 has an active-low RESET output. The output of the TCM809 is guaranteed valid down to VDD = 1V. Both devices are available in a 3-Pin SOT-23B and 3-pin SC-70 package. The TCM809/810 are optimized to reject fast transient glitches on the VDD line. Low supply current of 17µA (VDD = 3.3V) makes these devices suitable for battery powered applications.